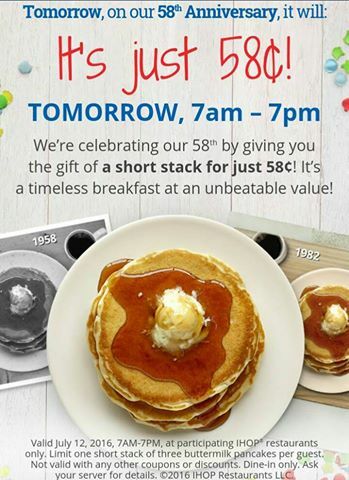 Help IHOP celebrate their 58th Anniversary with 58 cent pancakes. On July 12th from 7am -7pm get a short stack of pancakes for 58 cent. Limit one per guest no coupons or promo code needed.